The hardest part about any Waiver Wire article is finding the proper scope. As the commissioner asked me to pick this column up for the duration of the season, I’ll be trying to find that scope. I’ll get settled as the year progresses, and will experiment with how to do it best. 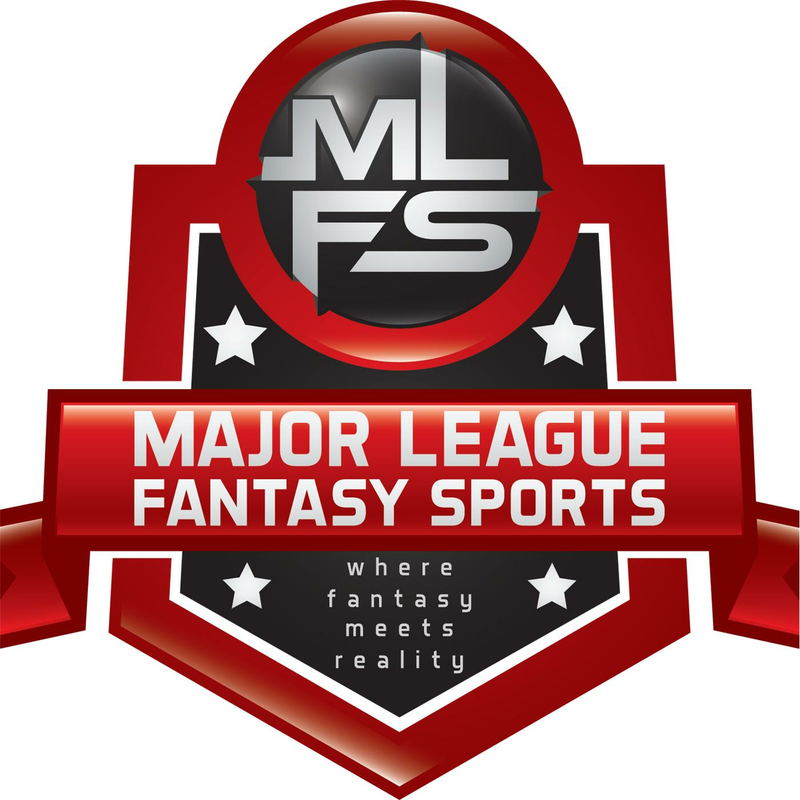 I myself play in leagues where the depth varies quite drastically, and that says nothing to the variability of every possible fantasy league. So, depending on your league size and even in my own universe, who I suggest could be completely irrelevant. With any luck, the write-ups may still help you in the future to make informed decisions. That said, I offer my first takes on waiver wire adds for Week 5. Feedback welcome. These players are probably owned in your league. And if they aren’t, they will be soon. Aaron Jones, RB, Green Bay — Aaron Jones looks like a BEAST. Jones is a “watch the tape” pick, because even last year Jones would pop on tape with his physical running style. Probably not available in many leagues, and if he was available the time to pick him up was probably before his suspension return two weeks ago. But Aaron Jones still has a low enough ownership% to qualify here, and in some more shallow leagues he may be available. Through two games he is averaging 6.3 YPC on 17 Carries (107 Yards) with 1 TD. His touches increased from 7 to 12 last week, and while Jamaal Williams continues to be a better football role player, he earned half as many yards on his carries and continues to add to an otherwise mediocre resume. Williams has just over twice as many career carries (200 v. 98) as Aaron Jones, and has produced a minor yardage advantage (718 v. 555). Put that another way, Jamaal Williams has 204% more career carries than Aaron Jones, but only 30% more career yards. Jones will help Rodgers move the ball and should have a shot at 10 TDs even missing the first two games. Do what you can to pick him up. Austin Ekeler, RB, Los Angeles Chargers — There are players that have the potential of being a “handcuff” and there are players who already have a potentially fantasy significant/consistent role on their offense. Every year, there are a few RBs who are both. Ekeler must deal with Melvin Gordon who is averaging over 110 yards, 1.5 TDs, and 6 Receptions a game. But Austin Ekeler has still produced 21.1, 11.3, 6.6, and 12.6 Points in Half PPR leagues. He looks like a player who could finish among the top 24 RBs if he plays 16 Games. And if Melvin Gordon were to miss any time for any reason, Ekeler would immediately step into a potentially larger role. Melvin Gordon owners would not be crazy to make a few trade offers to the Ekeler owner, hoping to protect investment and add a Flex-Worthy play as well. Pierre Garcon, WR, San Francisco 49ers — Garcon is still a player who is getting more snaps than anyone else on his team and is being dropped in some shallow leagues. He could still be a frequent enough target-hog to be a Flex Play at worst the rest of the season despite the loss of Garoppolo. Mike Williams, WR, Los Angeles Chargers — This is almost like a “post” Waiver Wire pick. Mike Williams was one of the most added players in fantasy Football last week. But, he rewarded owners with just 1 reception for 15 receiving yards. Bad week aside, Williams is still very talented, still on an offense that throws a lot, and still a former first round draft pick coming back from a single injury. This is therefore essentially Mike Williams “rookie” season. As with any rookie WR, I would expect better production to come in Weeks 9-17 than in Weeks 1-8. Williams has still been a solid WR3 throughout this season so far. He will get better. grab him now. Baker Mayfield, QB, Cleveland Browns — Baker by no means roasted the Raiders in terms of fantasy points. But, I think the Browns offense that moves Baker who has solid fantasy floor. He hasn’t run the ball much at the pro level, and the HB runs near the GL have cut into his fantasy value so far. But I believe Baker Mayfield really may be a borderline top-12 QB for the rest of the season. Grab him now. Geronimo Allison, WR, Green Bay Packers — Geronimo Allison seems to be owned by everyone. But according to Ownership%, he really is not. Above him in Ownership% are Godwin, Sanu, Anderson, Crowder, M. Williams, and Benjamin. The only one I would even hesitate to drop for Allison is Mike Williams, and I think I’d actually rank Mike Williams first because I believe he has a path towards a huge opportunity in Los Angeles. But some of the others aren’t even close. The Packers/Aaron Rodgers will ALWAYS produce passing stats. Adams is one man. Cobb is often injured. Most others are rookies. Allison may not have the biggest piece of his pie, but it’s the best damn pie in football. Consider dropping your lowest WR if Allison is still available. Nyheim Hines, RB, Indianapolis Colts — Nyheim Hines had a pretty incredible Week 4. But, what makes Hines incredibly intriguing is that he has DOMINATED Snap Counts the last two weeks and has the most Snaps by any Colts RB this season. He hasn’t been out snapped by any other RB on the team since Week 1. Hines is the pass-catching back for a pass-first team that has struggled mightily to run the ball. He is, in my opinion, a much better pass catcher than Marlon Mack. Hines is absolutely the clear back to own in this situation, and while he may do nothing through the ground, he could produce a peak-Theo Riddick season in the passing game with a higher Yards per Reception and potentially more TDs. In standard leagues, he’s probably not going to develop enough consistency, but in 1/2 or Full PPR Hines should be considered really an RB2 unless or until these Snap Counts change. Antonio Callaway, WR, Cleveland Browns — Aside from a near-miracle Hail Mary from QB Tyrod Taylor, Antonio Callaway really hasn’t had that breakout game on the NFL field. His hands have been a bit inconsistent, as he’s seemingly had some drops on on-target passes from QB Baker Mayfield. Despite this, Callaway, who many regarded as the most talented WR of the 2018 NFL Draft Class, has been given opportunity. The same logic listed above for Mike Williams also applies here: if the past is any indicator, Callaway is far more likely to make his impact late in the season, as opposed to early on in the season. Add him if he’s on your WW, put him on a Watch List to see if he’s dropped if he’s not. I’m not buying into a guy like Callaway as much as Mike Williams right now, but with talent and opportunity, anything can happen, especially late in the season. Jordan Wilkins, RB, Indianapolis Colts — Not a fast start, and not worth a heavy investment, but as with Mike Williams this may be a player you can even add AFTER the Waivers process. Wilkins, while he hasn’t been great, is still a rookie who very well may be the best between-the-tackles and goal line back on the Indianapolis Colts. At some point, they will probably have to do better than 30 Yards on 14 RB Carries. Wilkins is their best shot to improve in that regard. But I stick to my word above: 1/2 or Full PPR, give me Hines. Dede Westbrook + Donte Moncrief, WR, Jacksonville Jaguars — I really don’t even know what to make of this Jacksonville passing attack. Westbrook is a slot weapon, and has by far the lowest yards per target. Moncrief was a Red Zone specialist in Indianapolis and already has shown some expertise there with Jacksonville. Keelan Cole makes ridiculous circus catches, and for my money is probably the best of the three. Will there be a clear #1 who Blake Bortles prefers by season’s end? Early on, I thought it was evident that this would be Keelan Cole, but at this point it seems like it might as well be a race. But I’m still projecting that Bortles, who likes to target the WR position often and was 11th in Passing Yards last year, will have a top 30 WR this season. Both/All of the Jags WR are worth owning and storing. I wouldn’t add them all to the same roster obviously unless it had incredibly deep benches. I would rank Cole > Westbrook > Moncrief, but I see paths for each of them to have relevance. With 4+ receptions in each game so far, he doesn’t seem like a bad option. By my study of the Bears offense this won’t be the last time Gabriel has a good game this season either. Keke Coutee, WR, Houston Texans — Will Fuller V may or may not be healthy right now, but regardless he has struggled mightily throughout his career with maintaining health. The player who stepped in to fill Fuller’s void this Sunday was Rookie WR Keke Coutee from the University of Texas Tech. Although Coutee has been inactive for the first three games of the Texans season, he managed to play just about every snap for Houston on Sunday (80 of 86 | 93%), and was productive in his NFL Debut (11/109). If Will Fuller remains out, Coutee figures to be a valuable piece of a passing attack that really has no “Robin” to the “Batman” of Deandre Hopkins. And even if Fuller remains in the picture, the Texans run enough 3-WR sets that Coutee, a natural slot-WR, should fit in well and see enough playing time to still be relevant. Ryan Grant, WR, Indianapolis Colts — It is still hard for me to gauge what the expected offensive output of the Colts passing attack will be in Luck’s return season. The Colts certainly haven’t made it easy to figure out, with Luck having 57.5 Pass Attempts per Game in Weeks 1 and 4 and under 200 yards passing in Weeks 2 and 3. Maybe this is the beginning of a new short or long-term split with Andrew Luck, as Weeks 1 and 4 were at home and weeks 2 and 3 on the road. Regardless, Week 4 gave back some of the hope that Andrew Luck can post a volume close to the elite level he once demonstrated. Grant may not be the best player, but he is still slotted as the #2 WR in Indianapolis, and there is enough volume in this passing attack for the #2 WR to have a top 36 season. Taywan Taylor, WR, Tennessee Titans — Taylor is similar to Gabriel in that he is an underrated potential-boom player. If it weren’t for the no-show and 0 Points in Week 1, Taylor’s seasonal numbers wouldn’t look all that bad. Taylor has received more targets each week and had his best game in week four. As an explosive player, Taylor is a low-cost flier with the opportunity to become a more consistent playmaker on an offense with real upside.